“Yankee Boosters Measure Mantle for Triple Crown” read the headline in “The Sporting News on the eve of the 1956 season. Teammates and writers were expecting great things from the 24-year-old Oklahoman, even though the statistics from his previous five big league seasons were hardly spectacular. His highest batting average so far was a modest .311, he had surpassed 100 runs batted in only once and never led his team, much less the whole American League, in that department, and his career high in home runs was 37 in 1955, a jump of ten over his previous best. There was little question about Mantle’s talent. During spring training, Yankees shortstop Phil Rizzuto noted that “Everybody knows about his speed, but I don’t think many people realize how strong Mickey is. . .One of these days he’s going to take this league apart.” His speed was already legendary; he went from home to first base faster from the right-handed batter’s box than anybody in the majors got there from the left side. Hence the nickname “The Commerce Comet”. Fans in Florida got a glimpse of things to come during the exhibition games. Mantle blasted six home runs, including the first ball ever hit over the center field fence in Miami Stadium. More importantly, Mantle didn’t strike out until his twelfth game. Like most young players, Mantle was still learning the discipline to lay off bad pitches. He had led the league in strikeouts twice already, and Yankees manager Casey Stengel hadn’t been able to curb his young slugger’s risky habit of attacking the water cooler after fanning. But when Mantle pulled a tendon in his right leg, the fans also saw the downside: his proneness to leg injuries which were already plaguing him. Writer Dan Daniel called Mantle a “brittle hero,” and Stengel chimed in, saying “That Mickey can hit a ball farther than anybody else I have seen in baseball is a fact. . .But can he keep from getting hurt? Can he stay in the lineup?” That was the consensus heading into the 1956 season. Mantle was a brilliant talent ready to burst into stardom if he could stay healthy and hit the ball often enough. “Which way will his career turn?” Daniel asked. The answer arrived quickly. What Mantle later termed “my favorite year” began with a double bang on Opening Day, April 17, in Washington, D.C., when he belted two mammoth home runs that thrilled President Dwight Eisenhower. Three days later, in the home opener at Yankee Stadium, he homered again and drove in four runs, but pulled a thigh muscle beating out a drag bunt. Stengel wanted him to rest the next day but Mantle insisted on playing and had three hits, including a shot into the upper deck. Nothing was going to slow him down, not even a pulled ligament in his right knee suffered on April 25. Again he refused to sit out, and by the end of the month he was hitting .415 with 4 HR and 15 RBI in 11 games. Mantle followed that hot start with a torrid May, batting .414 in 31 games with 16 HR and 35 RBI and finally establishing himself as the biggest star in the league. On May 18 he went 4-for-4 at Chicago and homered from both sides of the plate. May 24 brought a 5-for-5 game at Detroit including a home run, and he capped his prodigious month on May 30 with a towering shot off Pedro Ramos which nearly went out of Yankee Stadium, hitting the façade just two feet below the roof. With 20 home runs (and only 21 strikeouts) in 42 games through May, Mantle had observers in awe. Bill Dickey declared that Mantle would break every record “except Lou Gehrig’s 2,130 games.” Mel Ott believed Mantle could hit 75 home runs and break the RBI record (190) as well. Mantle himself tried to deflect all the attention, saying “I don’t set any goals as far as hitting goes” and wanting only to play every day. The power surge lagged in early June as Mantle hit only one round-tripper in a dozen games, but the hoopla continued. There was no stopping the press from making comparisons between Mantle and Babe Ruth and publishing the first of continuously updated charts showing how Mantle was staying ahead of “Ruth’s pace” the year the Bambino slugged 60. The writers felt he was “destined” to win the Triple Crown, with good reason. On June 9, Mantle’s batting average dipped below .400 for the first time since April 21, but he still held comfortable leads in all three categories. On June 15, he led Charlie Maxwell of Detroit .392 to .371 in average, his 22 home runs were six more than runner-up Yogi Berra, and only Harry Simpson of Kansas City was within 10 of his 55 RBI. The National League also sported a Triple Crown candidate in Dale Long of the Pirates, leading the league in average and home runs and second in RBI. Who could slow them down? On June 5 at Yankee Stadium, Kansas City manager Lou Boudreau tried, unveiling a new, more extreme version of the “Williams Shift” he had devised a decade earlier to combat the best hitter in baseball, Ted Williams. No doubt desperate because Mantle was already 10-for-16 with four home runs in 1956 against his Athletics, Boudreau moved almost all of his fielders out of position when Mantle batted with nobody on base. The second baseman moved into the outfield and over toward the line, the shortstop took the normal second base position, the third baseman was stationed in short center field, the left fielder played a very deep third base, the center fielder played in deep left-center, and the right fielder manned deep right-center. By bunching his fielders up the middle, Boudreau gave Mantle the outfield corners and the left side of the infield, invited him to push a bunt to third base, then pitched him high and tight. The shift worked. Mantle whiffed his first two times up, failing to bunt twice, but batted later in the game with a runner on, no shift, and socked a home run. Quoted as calling the shift “crazy,” Mantle failed to get a hit against it in four at-bats during the series, and went 4-for-9 when there was no shift. Later in June, at Kansas City, Mantle went 4-for-8 against the shift, but all four hits were singles, including a bunt on a 3-2 pitch. Mantle wasn’t the only one transfixed by Boudreau’s shift. Some observers maintained that bunting would defeat it, but Stengel said Mantle would be doing the opposition a favor by bunting. A “Sporting News” editorial favored changing the rules to outlaw such gimmick defenses (“Suppose this worries him into a slump?”), and a Japanese newspaper carried an account and diagram of the shift. Other American League managers weighed in more skeptically. Bucky Harris of the Tigers said, “Let Boudreau get the credit—we’ll try to get Mantle out honestly.” White Sox skipper Marty Marion said, “I’m thinking about putting a fielder in the stands,” and Paul Richards of the Orioles suggested simply walking Mantle. That last option was chosen by Pete Ramos of the Senators, the pitcher burned twice by Mantle on Opening Day. When Ramos faced Mantle again late in June, he walked him all four times. By this time, Mantle and the Yankees were drawing record crowds on the road. American League President Will Harridge declared that Mantle now rivaled Ruth and Bob Feller as the biggest gate attractions in league history. The attention came with a price. On June 24, 47,255 fans crowded into Comiskey Park in Chicago, and the stands couldn’t hold them. 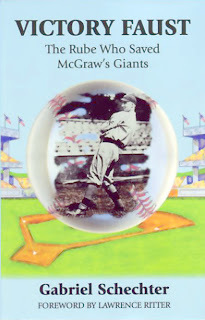 As Daniel put it, “Starting in the sixth inning. . .spectators of all ages and conditions of sobriety kept dashing into the field, some to shake Mickey Mantle’s hand or just feel his uniform.” Daniel estimated the invading forces at two hundred. Those who stayed in the bleachers cursed and screamed at Mantle, who was freaked out by the ordeal. “You see fans rushing into the field, and you don’t know if they are extending a hand or a knife,” he complained. “If I were to shove a fan away, I would be hooted out of the park. You should hear what they holler at me, as it is. And those torn newspapers and scorecards, old sandwiches and fruit they throw into the field. Can’t something be done?” Mantle never did learn to feel safe in the outfield, playing in an era when fans were allowed to storm the field after the game and he frequently had to battle his way back to the safety of the dugout. Mantle ended June with a nine-game home run drought but belted two on July 1 and led the fan balloting for the upcoming All-Star Game. Then his whole season nearly fell apart at Fenway Park on July 4. On the last play of the first game of a holiday doubleheader, Mantle twisted his right knee chasing a bloop single by Jimmy Piersall and hurt it further making a vain off-balance throw home as the winning run scored. The diagnosis was “strained lateral ligaments,” and Mantle said later that as soon as he was sidelined, he knew he couldn’t catch Ruth. After missing four games, he returned at half-speed in time for the All-Star Game (where he took Warren Spahn deep) but hit only three home runs in the next 19 games. Late in July, Mantle revealed his statistical goals for the season: 50 home runs, 125 RBI, a .350 average, win the Triple Crown, and forget about Ruth. He told Daniel that his patience was being tested because pitchers weren’t giving him anything to hit any more, preferring to walk him (he drew 30 walks in 25 games in July). He attributed his 1956 success to a change in his left-handed batting stance; by moving away from the plate a little, he was handling the “close pitch letter-high” much better, turning his previous weakness into his new strength. If only he could lay off the bad pitches; in an 18-game stretch beginning July 17, he had eight multi-strikeout games to go with 21 walks. August was a roller-coaster ride for Mantle the hitter. He was hot early, with a nine-game batting streak (his longest of the season) and eight home runs in an 11-game span to raise his total to 42 and re-ignite the “Ruth pace” mania. His last eight games of August brought even splashier production, as he went 16-for-32 with five home runs, including his fourth of the season off Washington’s Camilo Pascual in a game attended by President Eisenhower, to end the month with 47. In between, however, he suffered his worst slump of the season, a woeful 3-for-31, with 10 strikeouts and no extra-base hits. 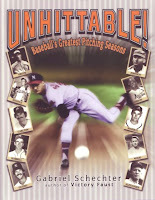 There was no mention of the Triple Crown because Mantle seemed uncatchable in all three categories. As September began, only Ted Williams was within 20 points of Mantle’s .366 average, only National Leaguer Duke Snider was within 10 home runs of his 47, and in RBI only Al Kaline, with 107, was within hailing distance of Mantle’s 118. Kaline made up four of those in the first two days of September, and continued to draw closer as Mantle fell into a two-week swoon, going 8-for-46. He failed to drive in a run in September until he nailed a solo homer on the 13th against the Athletics. By September 15, Mantle’s RBI lead over Kaline stood at three, but that wasn’t his biggest challenge. Williams, a four-time batting champion and the last man to win the Triple Crown (1947), had passed him in the race for the batting title on the 14th and led him .351-.349. Before that battle resumed, there was one other piece of business to get out of the way. Mantle took care of that on September 18 at Chicago by belting an eleventh-inning home run to defeat the White Sox and clinch the pennant for the Yankees. Incidentally, it was Mantle’s 50th home run, making him the first American League to reach that milestone since Greenberg in 1938. When the Yankees traveled to Boston for a three-game series starting on September 21, Williams still led, .354-.350. Mantle had three hits in the opener (including home run #51), but Williams picked up two singles to maintain a three-point lead. The race swung Mantle’s way in the second game as he stroked a single and a double while Yankees pitchers Don Larsen and Tommy Byrne held Williams hitless. A Williams hit in the ninth inning would have left them tied at .354, but his wicked line drive caromed off Byrne’s foot and right to a fielder who recorded the out. Mantle suffered a slight muscle pull in his right thigh late in the game, and with the pennant sewed up, Stengel used his star judiciously for the rest of the season, starting him only once in the final seven games. In the Boston finale, Mantle singled as a pinch-hitter, while Williams went hitless, giving Mantle a .356-.349 lead. In the big showdown with Williams at Fenway Park, Mantle had gone 6-for-9, virtually sewing up the batting title. All he had to worry about was Kaline and the RBI title. This was the most nerve-wracking part of the season for him. At night, he dreamt about it. During games, he thought about it. When the Tigers scored one run on September 28, the first thing Mantle did when he got to the clubhouse after the game was ask a reporter whether Kaline drove in the run. That was Mantle’s last start of the season, which he celebrated with home run #52, putting him four RBI ahead of Kaline. The next day, Stengel pinch-hit Mantle with the bases loaded, and he walked to pick up another RBI. Kaline drove in two to stay close. On September 30, the final day of the season, Stengel found another good spot for Mantle to pinch-hit, and his ground ball drove in a runner from third. That gave him 130, enough to hold off Kaline, who drove in two more to finish with 128. His final totals for 1956 included a .353 average, 52 home runs, and 130 RBI. In the 50 seasons since then, his numbers would have been good enough for 32 batting titles, 45 home runs titles, 30 RBI titles, and 18 more Triple Crowns. He led the major leagues in all three categories, along with runs (132), total bases (376), and slugging percentage (.705). He did the most damage against Lou Boudreau’s Athletics, with a .450 average, 9 home runs, 22 RBI, and 30 runs scored in 22 games. He slugged 10 home runs against both the Tigers and Indians, while the Orioles held him to two. 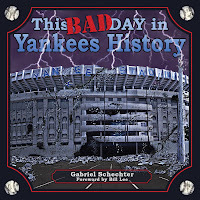 Yankee Stadium wasn’t the huge advantage we might assume it was; he hit .369 at home with 27 HR and 67 RBI, .336 with 25 HR and 63 RBI on the road. Mantle had his Triple Crown, and he was rested and healed enough to hit three home runs in the World Series as the Yankees beat the Dodgers in seven games. He was a unanimous choice as the American League’s Most Valuable Player, and added the Hickok Award as the nation’s greatest professional athlete of 1956. His salary for 1957 nearly doubled, to $60,000. On October 20, he celebrated his twenty-fifth birthday, and nobody in baseball had a brighter future. What happened to that future is another story.